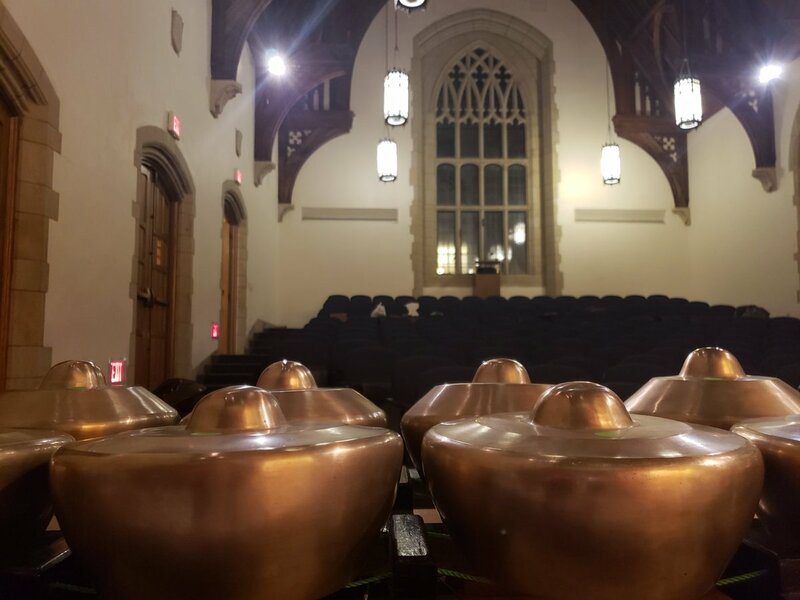 Last night, our Javanese gamelan group, Yale Gamelan Suprabanggo, performed at Yale in concert for the community. 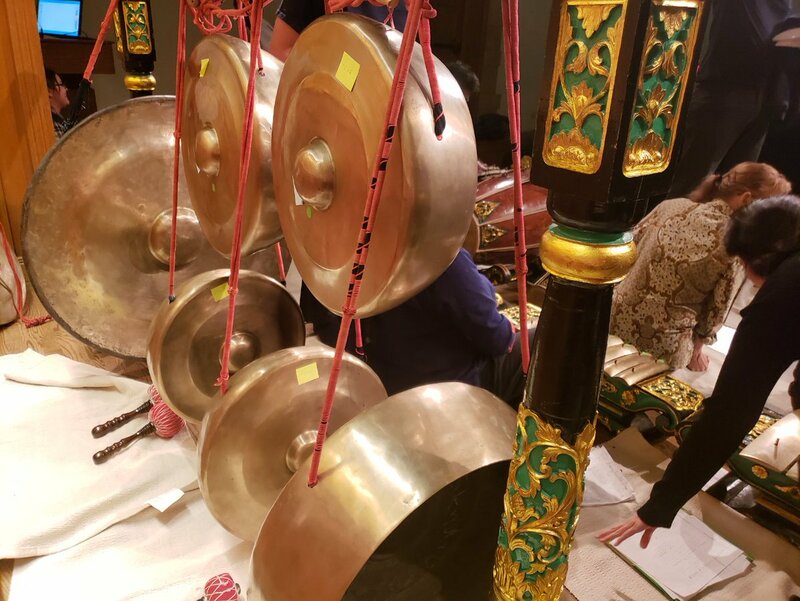 It was a delight to perform again with my gamelan teacher from Java (master player and teacher Darsono Hadiraharjo) with whom I studied while on a Fulbright in Indonesia and my gamelan buddies with whom I’ve been playing for nearly two decades in America (and Solo). Fortunately, we had some strong, able-bodied Yale students to help move the instruments (cue the football tight end) from our practice room to the stage. 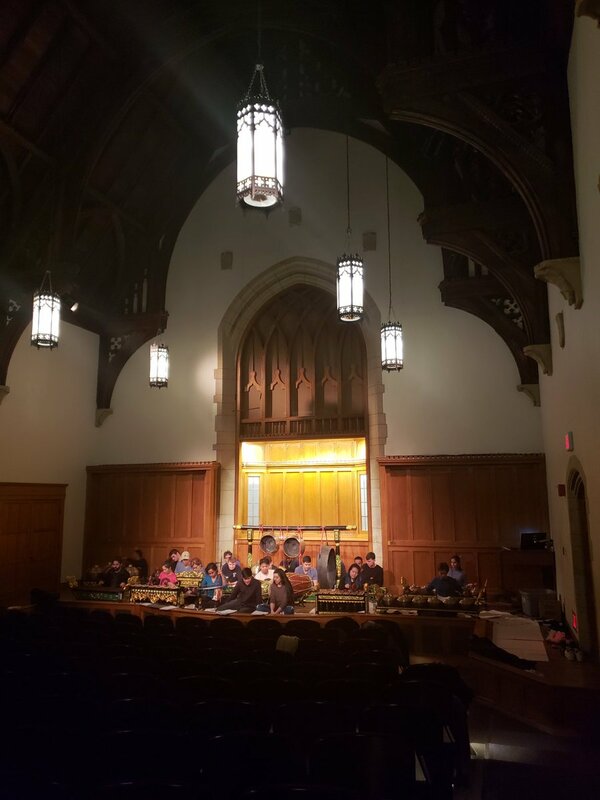 To adjust to the acoustics of the concert hall, we rehearsed all of our meditative melodies before the audience arrived. 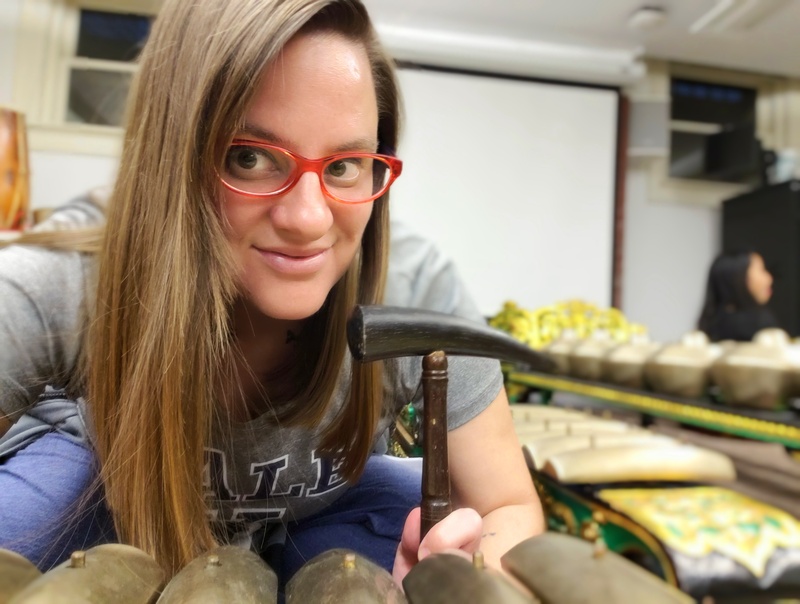 I was impressed with how much the Yale students had learned in just one semester of studying gamelan with Maho A. Ishiguro, and it brought back fond memories of first studying gamelan as an undergraduate at Brown University. Such a privilege and joy to share the beautiful music of Java with the Yale community in concert!